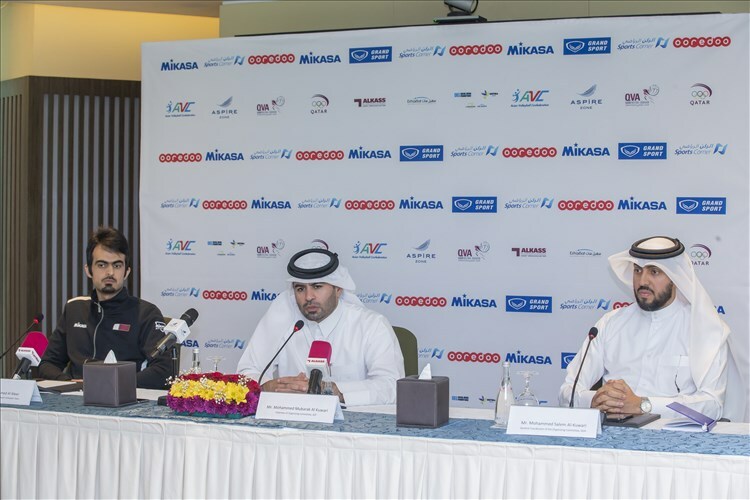 Aspire Zone Foundation (AZF) held a press conference on Tuesday to unveil the seventh edition of the Asian Volleyball Confederation (AVC) Aspire Beach Volleyball Qatar Master 2018, scheduled to take place from 27 to 30 November 2018 at Aspire park. The event is jointly organised by the Qatar Volleyball Association (QVA), the Qatar Olympic Committee (QOC) and AZF. 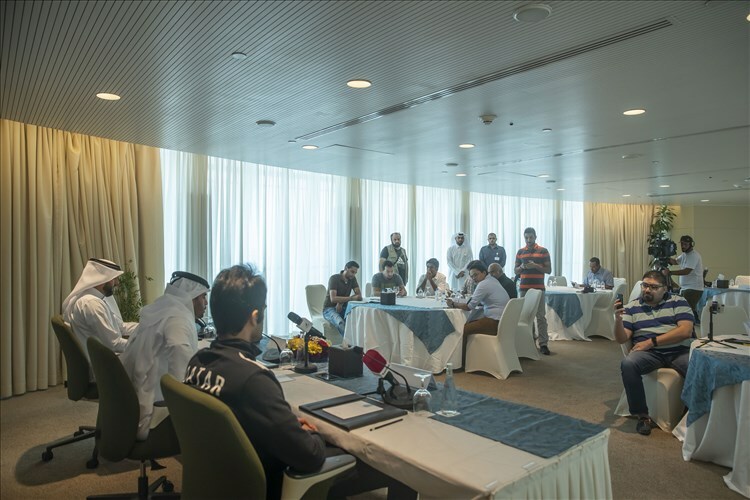 The press conference, held at the Torch Hotel, featured several dignitaries, including Mohammed Mubarak Al-Kuwari, Chairman of the Organising Committee (OC) and Chief Marketing Officer (CMO) at AZF; Mr. Mohammed Salem Al-Kuwari, General Coordinator of the Championship at QVA; Nasser Abdullah Al-Hajri, Member of the OC and the Director of PR and Communications at AZF; and Nasser Ahmed Al Meer, Captain of the Qatar national beach volleyball team. During his welcoming remarks, Mohammed Mubarak Al-Kuwari, Chairman of the OC expressed his gratitude to media representatives for the crucial role they play in promoting such events that cement Qatar’s position as a global sports hub. Al-Kuwari added that the initiative to host the championship comes as part of our vision to be the reference in sports excellence world-wide by 2020. Additionally, the championship will welcome a wide range of fans and sports enthusiasts due to its location at Aspire Park in line with our objective to encourage individuals to adopt a healthy and active lifestyle. A Fan Zone will be set up on the side-lines of the event to entertain families, which is scheduled to be present throughout the event. Al-Kuwari then announced the initial list of teams that have confirmed their participation: three teams will represent Qatar, the title holder; while Australia, Iran, Japan, Oman, Kazakhstan, and Thailand will each send two teams; and New Zealand will send one team. A total of 16 teams have committed to taking part to date, and the number is expected to increase in the coming days. 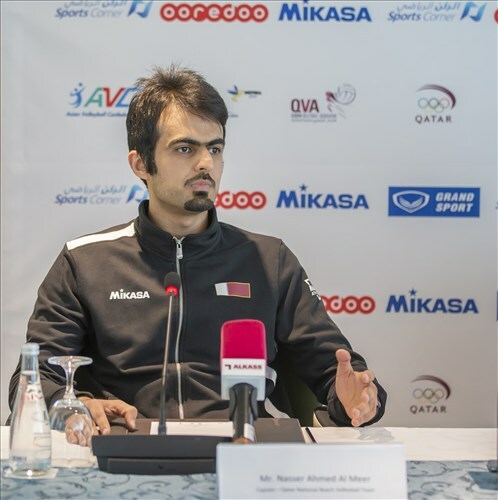 Al-Kuwari also stressed that the decision by the AVC and QVA to host the prestigious championship at AZF for the second time is testament to AZF’s ability to organise events to the highest international standards. He then concluded his speech by thanking the event sponsors – Sports Corner (Main sponsor), Ooredoo (Telecommunication sponsor), De Boer (Technical sponsors), and Kidzania (Event partner) – for their support. Meanwhile, the General Coordinator of the Championship at QVA, Mohammed Salem Al-Kuwariextended his utmost appreciation and gratitude to AZF for their ongoing efforts and cooperation in organising a global event that reflects AZF’s readiness to work with other sports federations in Qatar. QVA’s Al-Kuwari said: “The Aspire Beach Volleyball championship is set up as a preparation phase to train Qatari teams for future tournaments, including the upcoming World Championship in Hamburg, Germany, and to obtain extra points in the rankings. The Qatari Beach Volleyball team has advanced in the Asian ranking, attaining the 1stplace and is ranked 10thin the world. 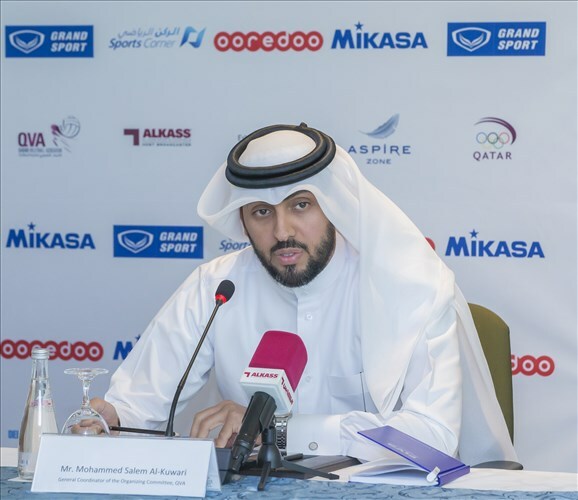 “We will continue to host tournaments like these to rise in the world rankings of this year while achieving medals in international and continental championships which stems from Qatar Olympic Committee’s vision under the leadership of HE Sheikh Joaan bin Hamad bin Khalifa Al-Thani to train athletes to reach their highest performance level and to bring home the gold.” Mohammed Salem Al-Kuwari, concluded. Nasser Ahmed Al Meer, Captain, Qatar national beach volleyball team, then added: “The presence of such tournaments in Qatar gives players the encouragement and aspiration to take part in tournaments on the international stage. This tournament will be a big challenge for us and we aspire to achieve the best. " In September 2018, the Qatari team of Ahmed Tijan Janko and Cherif Younousse Samba was crowned the Asian Beach Volleyball championship in Satun, Thailand. This built on the team’s gold medal at the 18th Asian Games in Jakarta, Indonesia, secured in August 2018, and represents another step towards the duo’s aim of earning direct qualification for the finals of the 2020 Tokyo Olympic Games. With this edition of the AVC Aspire Beach Volleyball Qatar Master 2018, more than 12,000 fans are expected to attend. AZF will reveal in the upcoming days more details regarding the event’s accompanying activities.